When it comes to my skincare routine, I’m a bit of a fanatic. Beyond religiously washing and moisturizing my face twice daily, I’m always on the look out for new and interesting skincare products. Before making a new purchase, I thoroughly research the product of interest. While Allure may be the beauty bible, I really trust the product reviews from ordinary people on retail sites like Sephora.com and Ulta.com. 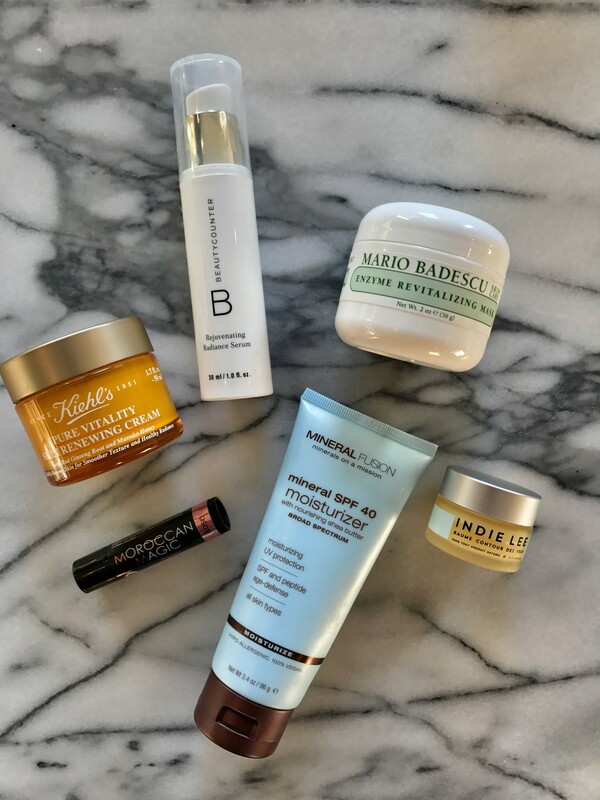 Since I’m always exploring new skincare brands, I wanted to share my current beauty obsessions in the hope that you might find a new favorite among them. Winter offers the perfect opportunity to experiment with new products and update your beauty cabinet. 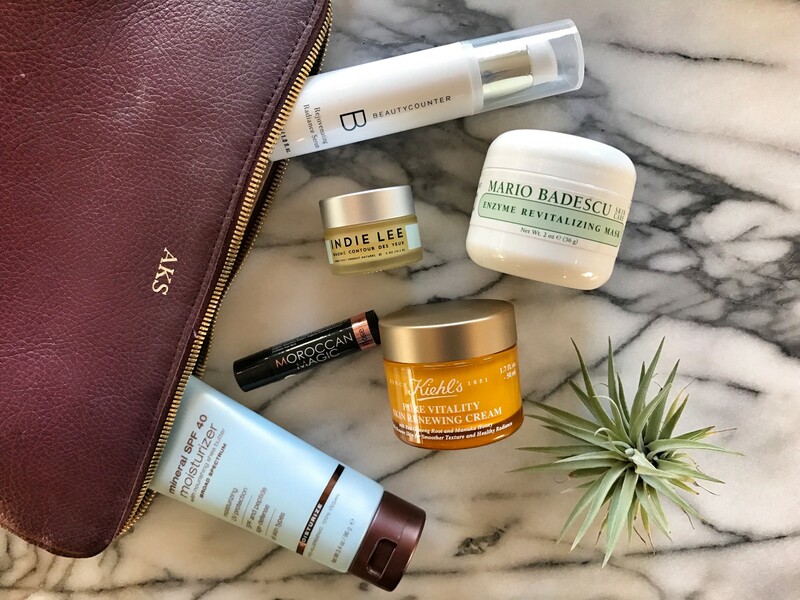 Extra hydration for your skin is key during this time of year, and my latest rotation of products keeps my complexion looking and feeling fresh, bright, and well-moisturized. What are some of your must-have skincare products during the winter months? 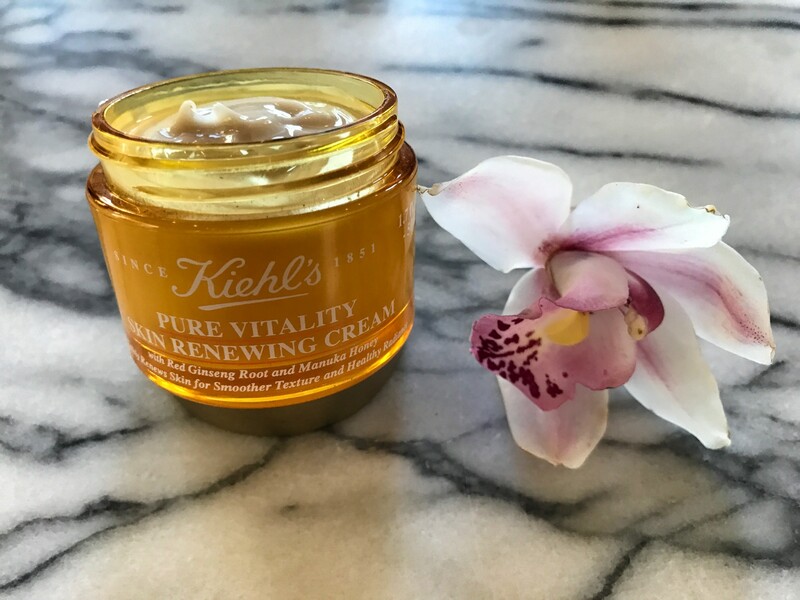 Kiehl’s Pure Vitality Skin Renewing Cream, which is the latest product launch from this well-loved skincare brand, is nothing short of amazing. Powerhouse ingredients manuka honey and red ginseng root come together to create the ultimate moisturizing formula, renewing skin by brightening, hydrating, and strengthening it. This cream has become my go-to evening moisturizer. Not only do I love this product’s sweet smell, but I’m obsessed with its luxurious formula, which is rich and creamy, yet still lightweight on the skin. The moisturizer boasts a long list of anti-aging benefits and better yet, it’s natural and consists of only highly effective plant-derived ingredients. It’s no wonder Kiehl’s has been around since 1851 and is still one of the best beauty brands! I became obsessed with Indie Lee a few years ago when I discovered her delicious smelling Brightening Cleanser at the Boston shop, Follain. Lee developed her eponymous skincare line in 2010 after being diagnosed with a brain tumor. She felt compelled to revamp the products and ingredients that she was putting on her body. 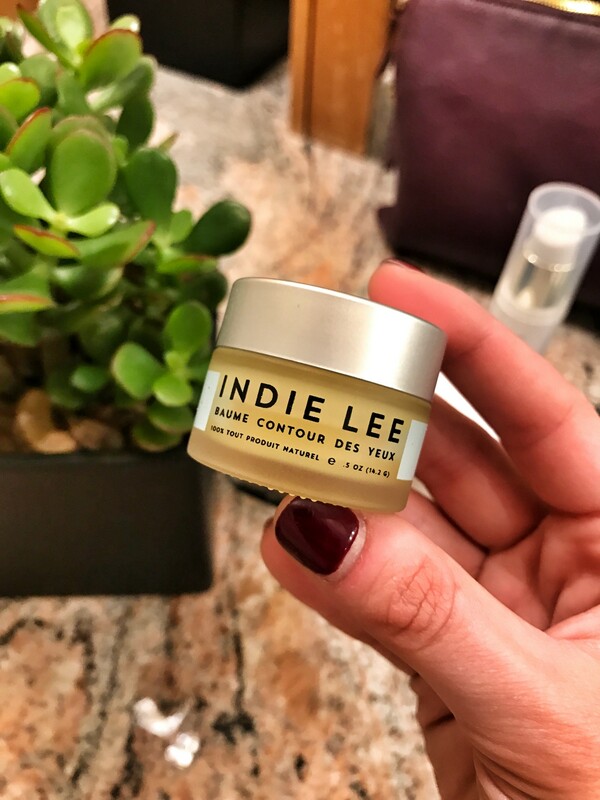 I am a huge proponent of chemical-free skincare, which is part of the reason I am in love with Indie Lee’s skincare collection. During the winter, the Calendula Eye Balm is my secret weapon for well-rested eyes. I use the balm at night because it’s incredibly nourishing and full of ingredients to aid in reducing puffiness and dark circles under your eyes. One word of advice: if you are planning to apply this during the day and want to wear it under make-up; a little goes a long way, so use it sparingly! 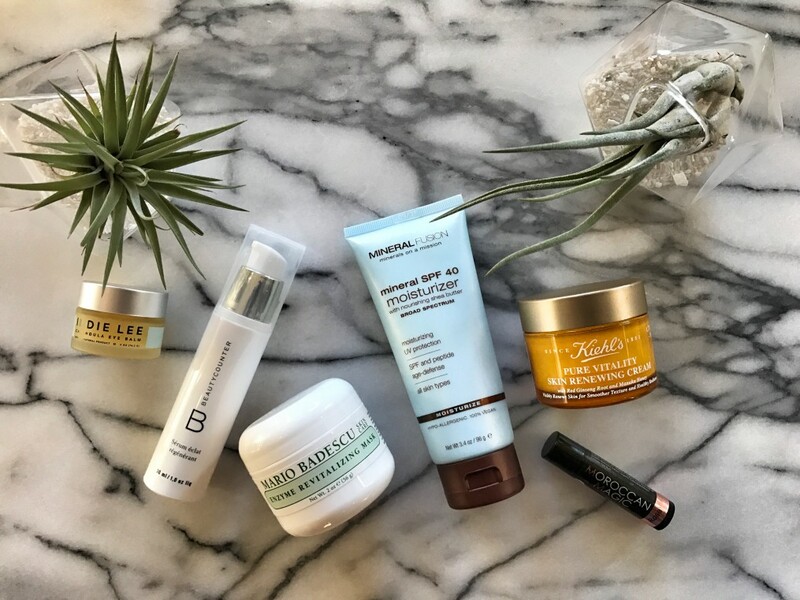 Keeping in line with incorporating more natural, safe products into my skincare routine, I’ve enjoyed trying out bestsellers from Beautycounter. 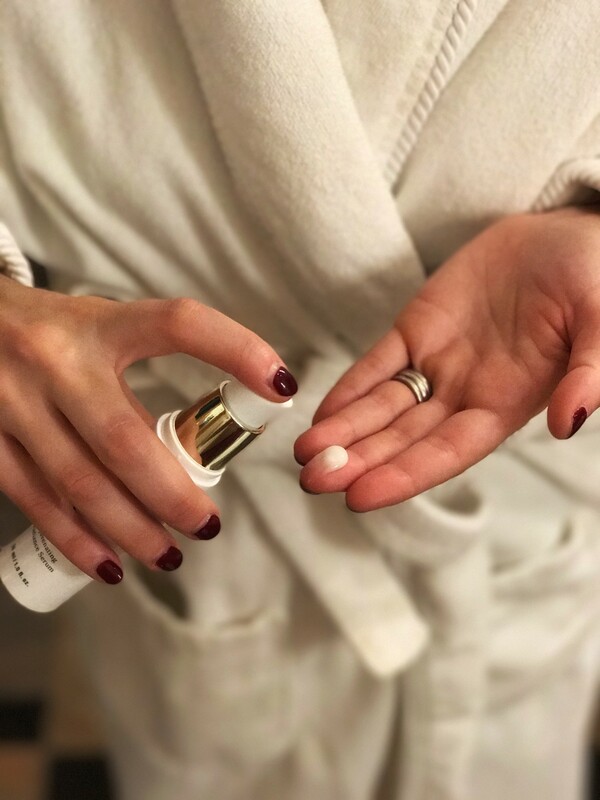 While I’ve always been a bit skeptical about social selling companies, everything I’ve learned about and tried from Beautycounter has made me a believer in the brand’s mission to offer women safer, yet still effective skincare solutions. I love the thicker, creamier consistency of this serum as well as how weightless it feels on your skin. With brightening ingredients like Vitamin C and mixed fruit acid, this serum is the perfect addition to one’s daily skincare routine. While the price point may be on the higher side, I’ve found that you need less than a dime-size drop to cover your whole face. If you’re at all interested in checking out what the Beautycounter hype is about, I highly recommend this as an introductory product! During the winter, I find myself obsessively applying and reapplying lip balm (don’t we all?!). After years of feeling like my lips were still dry and chapped even after consistent balm use, I knew I had to change something…and fast! Moroccan Magic is a Boston-based beauty company that offers an organic argan oil lip balm in four amazing flavors (my go-to’s are Rose and Peppermint Eucalyptus). With a blend of argan oil, essentials oils, and key vitamins, this lip balm is so smooth that it literally glides across your lips to quickly and effectively moisturize them. Hands-down, this is the most hydrating lip treatment that I’ve ever used on my pout. Good news! In March 2017, the brand will officially be available on CVS shelves and on CVS.com, so now everyone can achieve coveted, smooth lips. Until recently, I had never been a big fan of face masks. 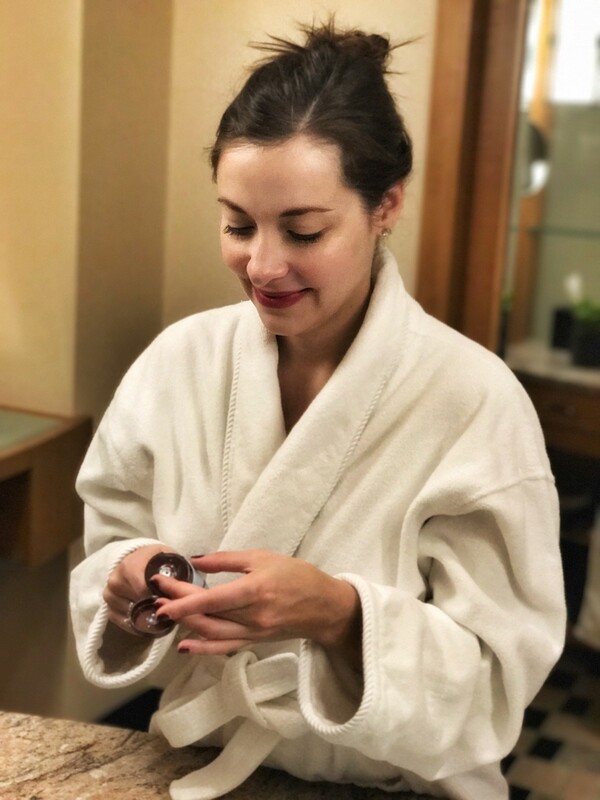 On my birthday, I went for a facial at the relaxing Exhale Spa in Boston’s Back Bay and my facialist recommended incorporating an enzyme treatment into my weekly skincare routine. Of course, I went home and googled the benefits of enzymes on your complexion, and after a few minutes of research, I was on the hunt for an enzyme mask. In short, enzymes act as a natural exfoliant to brighten skin and provide an antioxidant rich blend of ingredients. While Mario Badescu’s mask is admittedly not my favorite smelling product, I can’t get over how smooth my skin feels after every use! Leave it on for 20 minutes and rinse it off to reveal a brighter, softer complexion. For mask newbies, like me, I think you’ll be sold after one use. The beauty department at Whole Foods (specifically at the Boston Ink Block location) is one of my favorite places to find new, safe beauty products! I stumbled upon this Mineral Fusion SPF moisturizer during one of my grocery store trips and have been using it for the last six months. I am a huge proponent of using an SPF on your face every single day. Even though I sit in a windowless office at work, without fail, I wear this SPF on my face and neck 7 days a week. I love this moisturizer’s age-defying ingredient list and quick absorbing formula, which provides the perfect canvas for my make-up. Compared to other high-quality SPF moisturizers I’ve used over the years, Mineral Fusion is very affordable and I’ve found it to be highly effective in both protecting and hydrating my face. This product is 100% vegan as well as paraban-free, so I’d say it’s Whole Foods for the win!